Delicious, delicious squash is in abundance this time of year. Though I am partial to sautéing it in butter, I occasionally crave squash in some other form. This night, I had some beautiful, fresh ground beef just waiting to be made into meatballs, but no tomatoes to make a traditional sauce. So, I got to work making a squash purée. 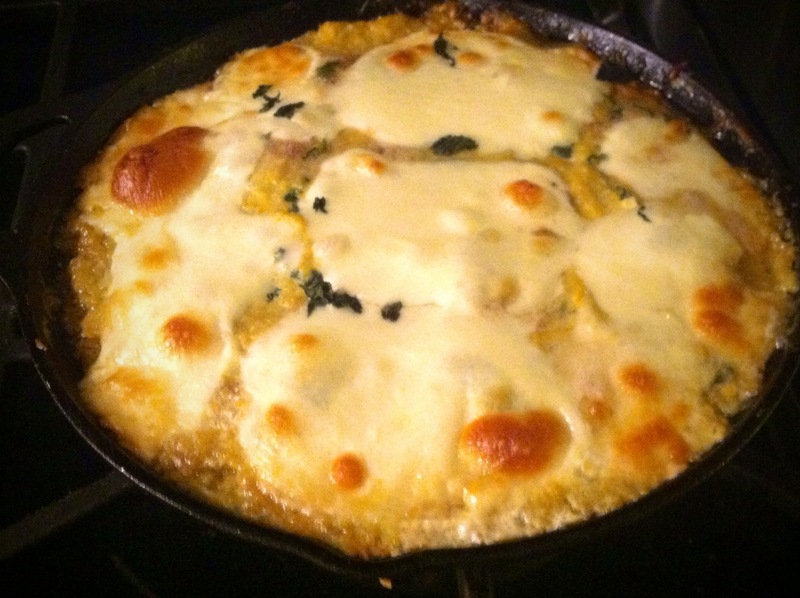 Some melted mozzarella and ricotta completed the dish. 1. Preheat on to 400 degrees. 2. Cut squash in half, lengthwise and discard ends. Scoop out seeds. 3. Slice squash into half moons, then toss into large pan drizzled with olive oil. Sprinkle with salt and pepper and cook over medium heat in oven proof pan, until practically melted – about 15 minutes. 4. While squash is cooking – assemble meatballs by combining all ingredients. Add additional breadcrumbs if mixture is too wet. 5. Form meatball mixture into balls (about the size of golf balls). Set aside momentarily. 6. Remove squash from pan. Add reserved anchovy oil, and set heat to medium-high. Add meatballs and let brown on all sides. 7. 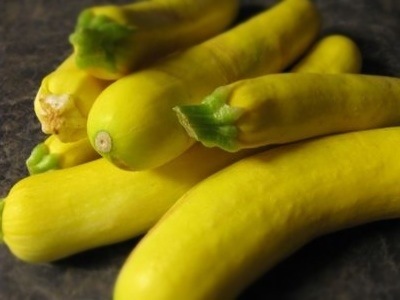 With other ingredients, put sautéed squash into food processor, fitted with metal blade. Puree until smooth. 8. Pour squash purée over meatballs. Top with cheese and put into pre-heated oven. 9. Cook until cheese is golden and bubbly about 12 minutes. Remove from oven and sprinkle with basil. Serve with focaccia or other crusty bread for perfect summer meal.